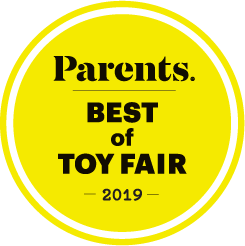 The Lamaze 4-In-One Play Gym grows with baby from an infant gym to a fun pretend play tent. Three detachable, hanging toys and a large mirror engage infants as they lay on the soft, colorful mat. Remove the toys and attach them to hooks on the poles to encourage tummy time fun. A unique mesh side panel provides a clear view of baby. As baby gets older, the bright colors and friendly faces will encourage her to push and crawl. 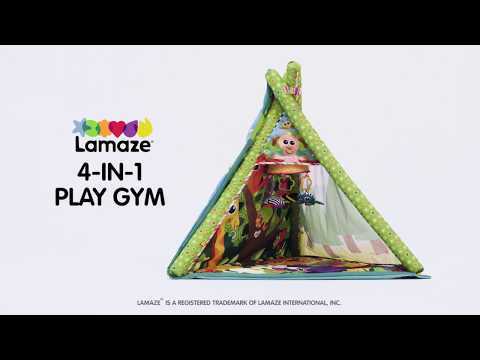 The Lamaze 4-In-One Play Gym grows with baby from an infant gym to a fun pretend play tent. Three detachable, hanging toys and a large mirror engage infants as they lay on the soft, colorful mat. Remove the toys and attach them to hooks on the poles to encourage tummy time fun. A unique mesh side panel provides a clear view of baby. As baby gets older, the bright colors and friendly faces will encourage her to push and crawl. For toddlers, attach the third side to create a fun playtime tent.